Residing in the Upper Blue Mountains since 1998 Jennifer has brought up her 5 sons and 2 daughters amongst the beautiful natural environment that is the Blue Mountains National Park. Her creative passions are focused on merging her love of textiles and vintage aesthetics with modern day lifestyle to create an ever evolving range of handmade accessories. Poppy & Belle is listed on the MTNS MADE website, a branding of Blue Mountains Economic Enterprise, for people working in the creative industries and residing in the Blue Mountains. Jennifer's choice of fabrics and design features make for practical bags and jewellery that is uniquely individual. Mixing salvaged fabrics with vintage fabrics and textiles such as denim, wool and upholstery off-cuts are her main source of materials which make for one of a kind bags handmade with sustainability and slow fashion in mind. 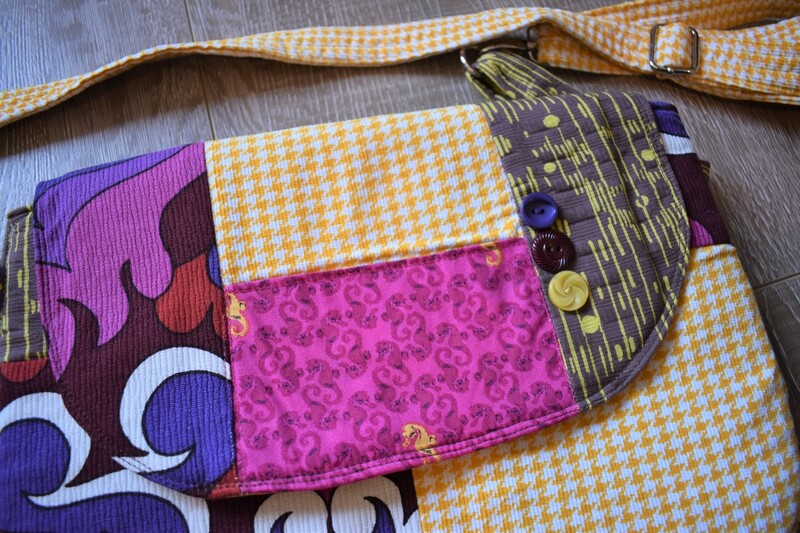 Incorporating a small amount of designer fabrics in vintage a modern prints give her bags a playful and fun vibe. 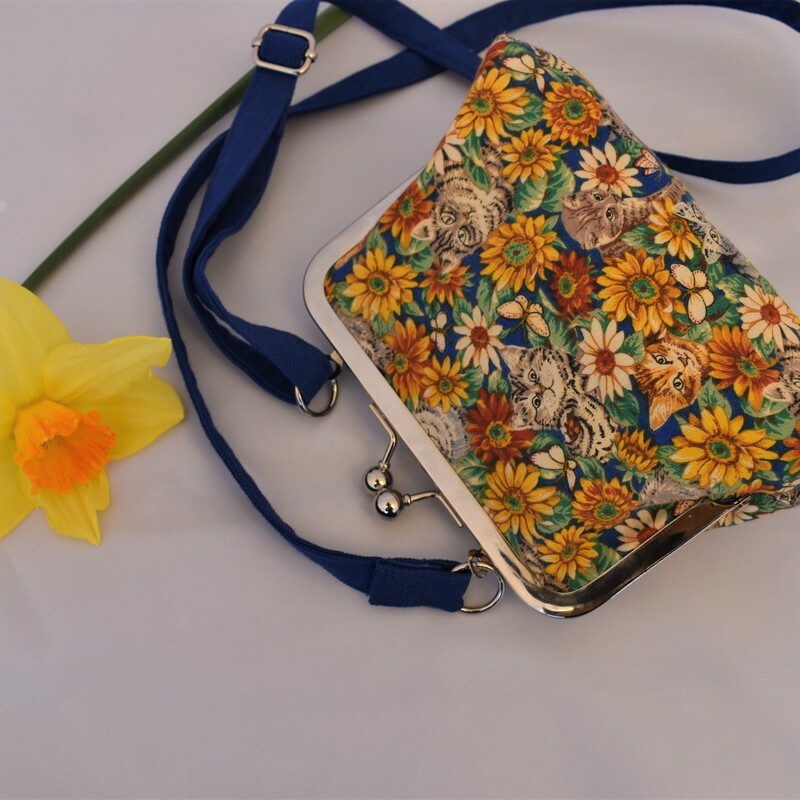 The Poppy & Belle range of bags and purses include practical messenger bags, totes, hand bags and clutch purses as well as project bags for knitters & crafty folk. 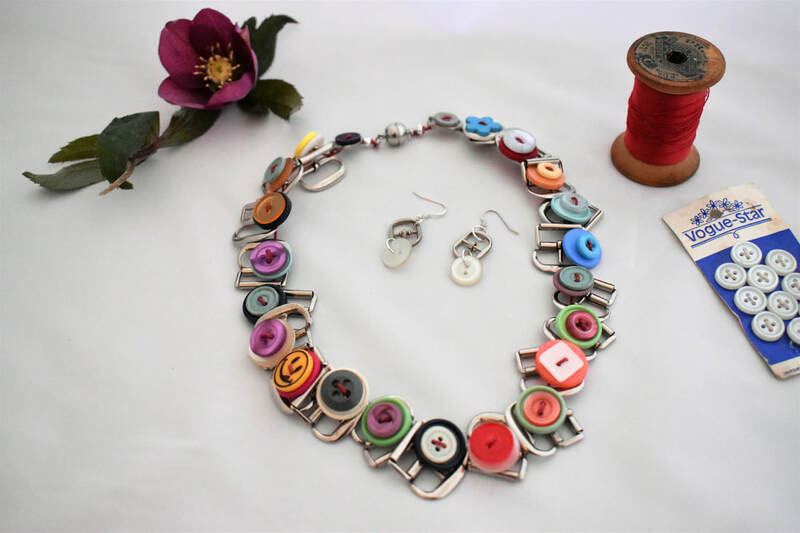 As an avid maker of jewellery, Jennifer uses her collection of vintage haberdashery to make statement jewellery out of vintage buttons and buckles. 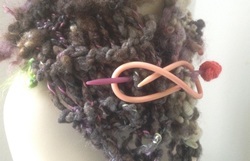 Her exciting latest collection needle soup is created from vintage and up-cycled knitting needles. 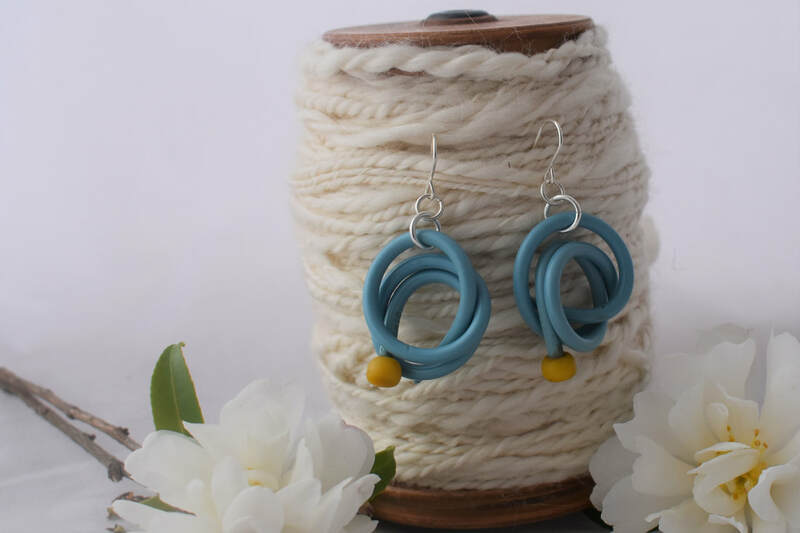 The jewellery designs began with colourful loopy knitting needle necklaces and earrings, and now include contrasting geometric shaped pendants and bracelets. 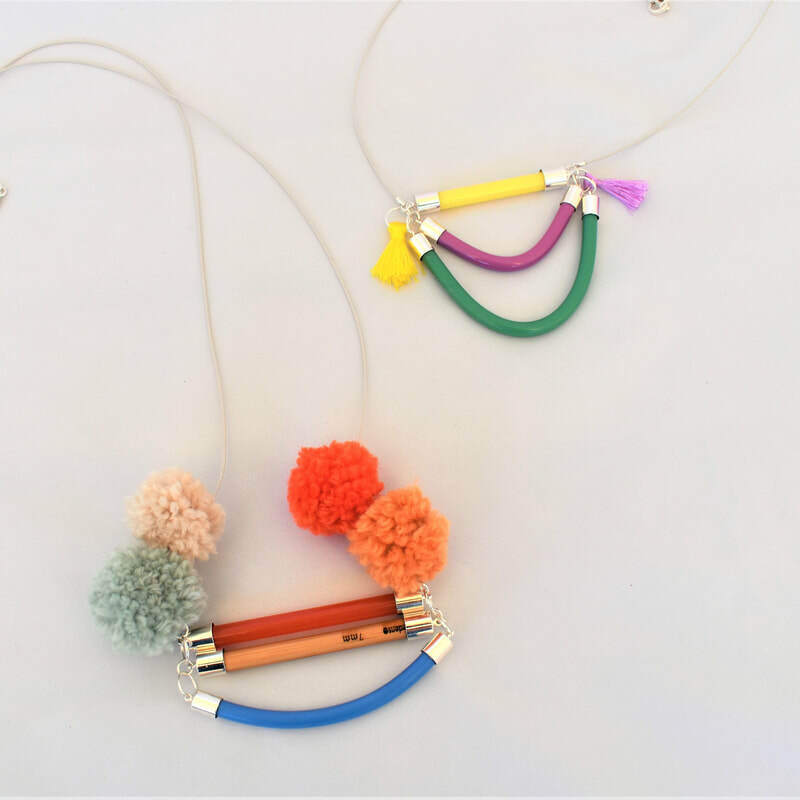 The vintage colour pallets of the knitting needles make striking jewellery which is light and comfortable to wear. All of Jennifer's wares are lovingly handcrafted in her home workroom in Katoomba in the Blue Mountains, Australia. To keep informed of market stall locations and new products you are invited to sign up to my email newsletter below.